Political site Talking Points Memo (TPM) was offline for a significant portion of Friday evening (9 September) following a massive distributed denial of service (DDoS) attack against it. 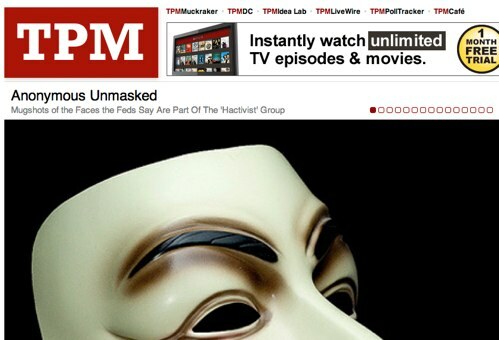 The attack followed the publication of mugshots of people identified by authorities as being active in Anonymous, which TPM had obtained through a freedom on information request. TPM switched to a Tumblr blog and continued posting news until the site was restored approximately five hours later.